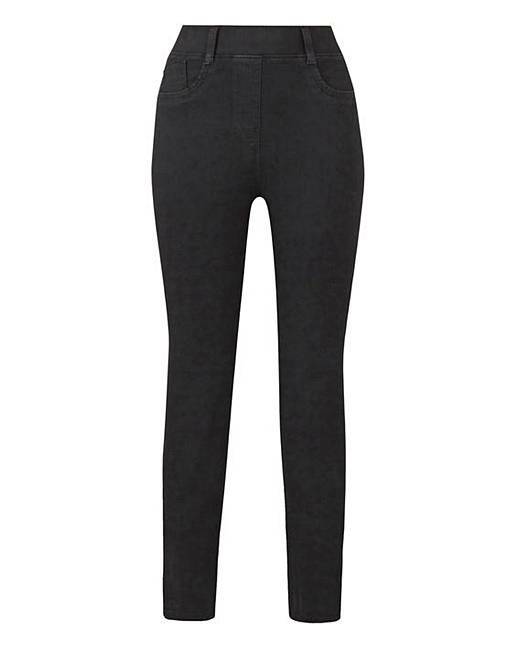 Black Bella Pull-On Slim Leg Jeggings is rated 4.0 out of 5 by 11. No woman's wardrobe is complete without a trusty pair of jeggings, and the fabulous Bella Slim-Leg Jeggings are the ultimate must-have. Made from a soft, stretchy denim material, these jeggings boast all the style of a classic pair of jeans, with added comfort and flexibility. To complete the look, tuck your favourite T-shirt into the waistline and slip on a pair of pointed courts. 67% Cotton, 31% Polyester, 2% Elastane. Rated 5 out of 5 by Kandipandi from Great Fit Love these they are not skin tight at the ankle and therefore look suitable for work. They smelled really strong of chemicals but I washed them and they were fine. Would buy more of these. Rated 5 out of 5 by TINA from Comfy fit trousers Great fit so comfy. Had to buy 2 pair in black, and mid blue pair. Rated 4 out of 5 by Snewt from Great Jeggings I really like these jeggings as they are a good fit. I am a size 16/18 and I sent for an 18 and I’m glad I did, as I’m sure the 16 would have been a bit snug! material is a nice weight, so good for winter. 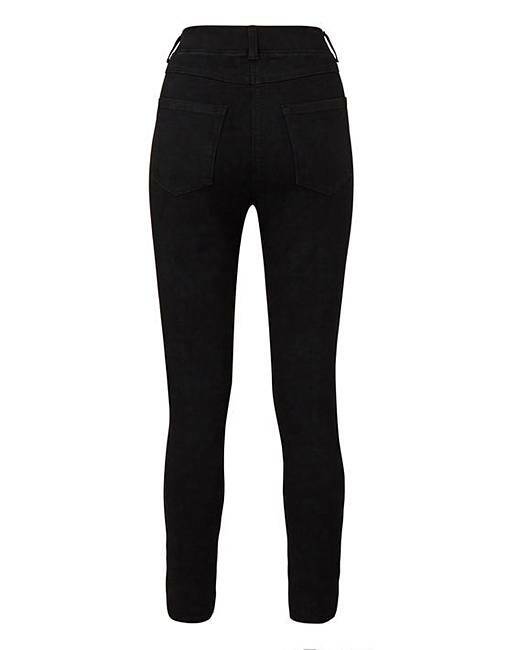 Other jeggings that I have got, have an elasticated waist, but I like the fact that these ones also have belt loops so you can wear a belt as wel, if you want to. Rated 1 out of 5 by Cupcakegirl from Disappointed Bought 2 pairs of these for work, one leg on each pair is twisted and after only two washes they have faded and look like I have had them for years. I had ordered another two as they were on a good deal but didn’t open them and returned for a refund. Rated 5 out of 5 by sheshere10 from So Comfy !! True to size and very comfy, great for every day wear or dress up for going out.